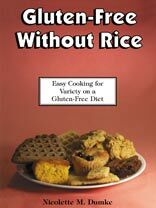 If you are on a gluten-free diet and are tired of or allergic to rice, Gluten-Free Without Rice is the book for you. It introduces other delicious gluten-free grains such as sorghum (milo), teff, millet, quinoa, amaranth, buckwheat, tapioca, arrowroot and more. It will help you cook easily – and save time doing it – while staying on your diet consistently and improving your health. This book contains over 75 recipes for muffins, crackers, bread, pancakes, waffles, granola, main and side dishes, cookies and desserts, time-saving tips on how to cook for and cope with your diet, references, and a listing of sources of special foods and products for those on gluten-free diets. To see the Table of Contents and first few pages of this book, click here. Click here to purchase a regular book from the author. Get a FREE copy of How to Cope with Food Allergies when You’re Short on Time when you order this book plus any other book on this website from the author. For more information about How to Cope, click here. 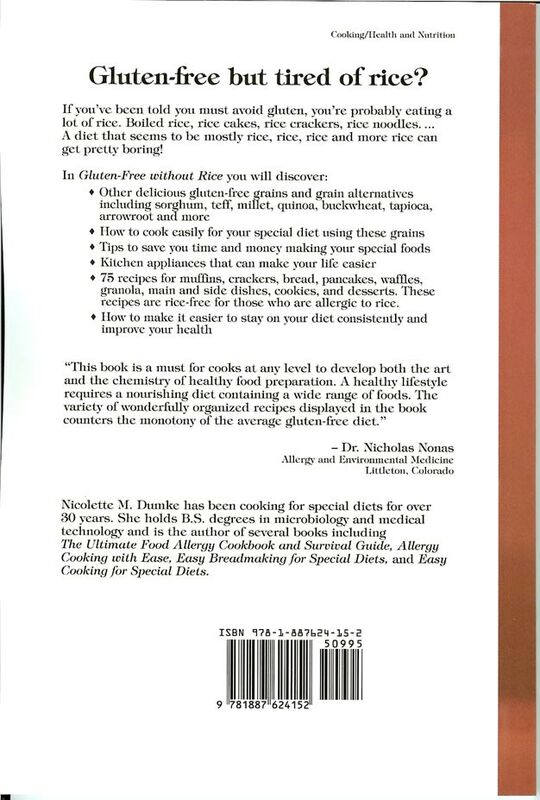 Order Gluten-Free Without Rice from Barnes & Noble by clicking here. Order the eBook by clicking here. 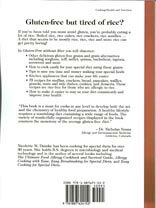 This book can also be obtained from your bookstore or health food store. Request it by title or ISBN 978-1-887624-15-2.